Roasted Pumpkin Seeds – The perfect way to use up leftover pumpkin seeds after carving your Halloween pumpkin! Roast with your favorite spices and seasonings to create a delicious and flavorful snack. 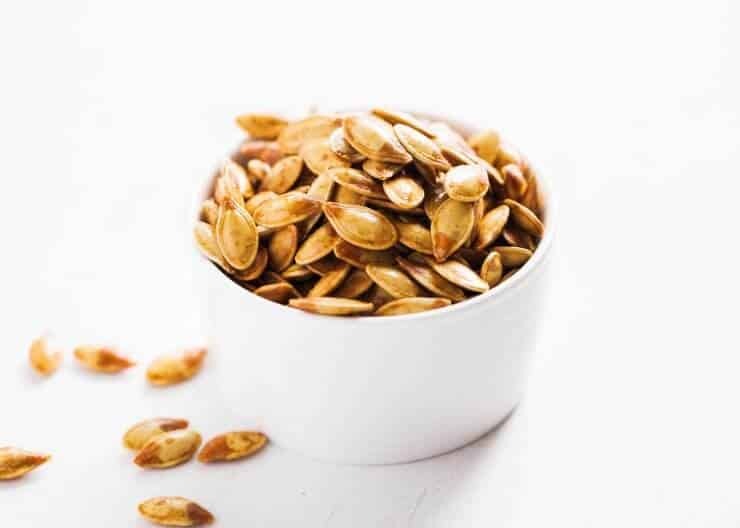 We can’t get enough of these easy pumpkin seeds! Roasted pumpkin seeds are one of my favorite fall snacks. I make this pumpkin seed recipe around Halloween every year, along with pumpkin bars, pumpkin cream cheese bread, pumpkin waffles and crockpot applesauce. 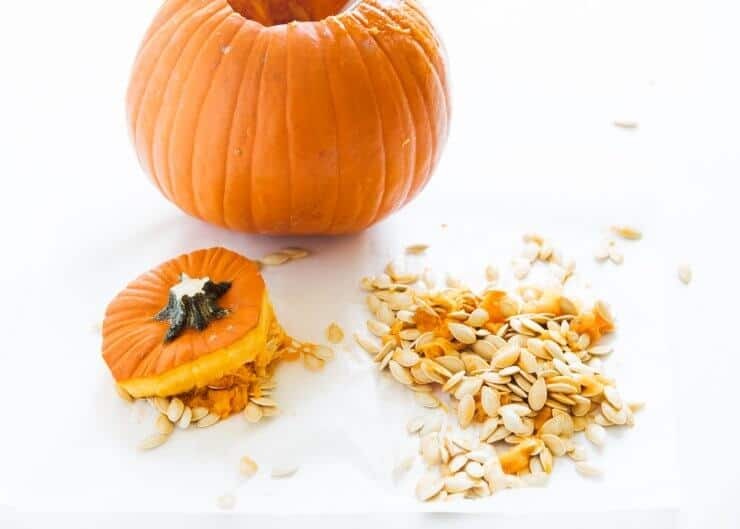 When carving pumpkins this year, don’t forget to save the pumpkin seeds! They are so yummy when roasted and make the perfect fall snack. We used one small pumpkin for this roasted pumpkin seed recipe, but if using a large pumpkin…you can easily double it. 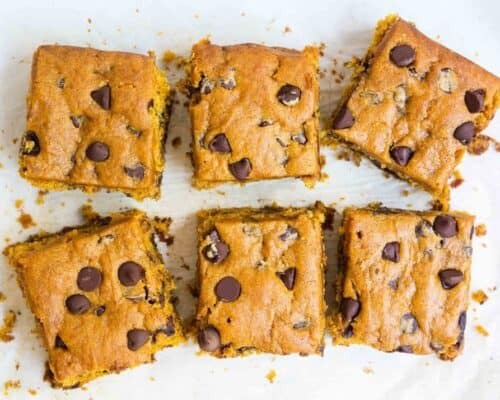 Not only are roasted pumpkin seeds healthy, but they are so delicious! Coat them with your favorite spices like sea salt, cinnamon or garlic powder to make a simple and flavorful snack. You could even coat them with chocolate if you’re in the mood for something sweet! So yummy. I could snack on roasted pumpkin seeds all day long! Scroll down for the printable pumpkin seed recipe. Place your pumpkin onto parchment paper or newspaper. Then separate the seeds and rinse them in a colander. I like to boil the seeds with salt to infuse the flavor and helps remove any extra membranes. Then spread the seeds on paper towels in a single layer to dry. If you have time, leave them out over night. If not, you can roast them as soon as 20 minutes. I would change the paper towel after a few minutes so they can dry quicker. Then you’ll mix the seeds with a little butter and salt before roasting. That’s really all you need but you can add your favorite spices if you’d prefer. 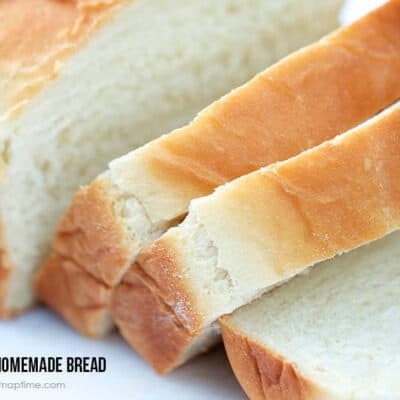 I like to bake them at 350°F on a baking sheet for about 20-30 minutes or until they’re lightly toasted and golden brown. If you like them more crispy, cook them longer. If you don’t prefer the extra crunch, take them out a little sooner. What can you put on pumpkin seeds? There so many different ways you can flavor your roasted pumpkin seeds! 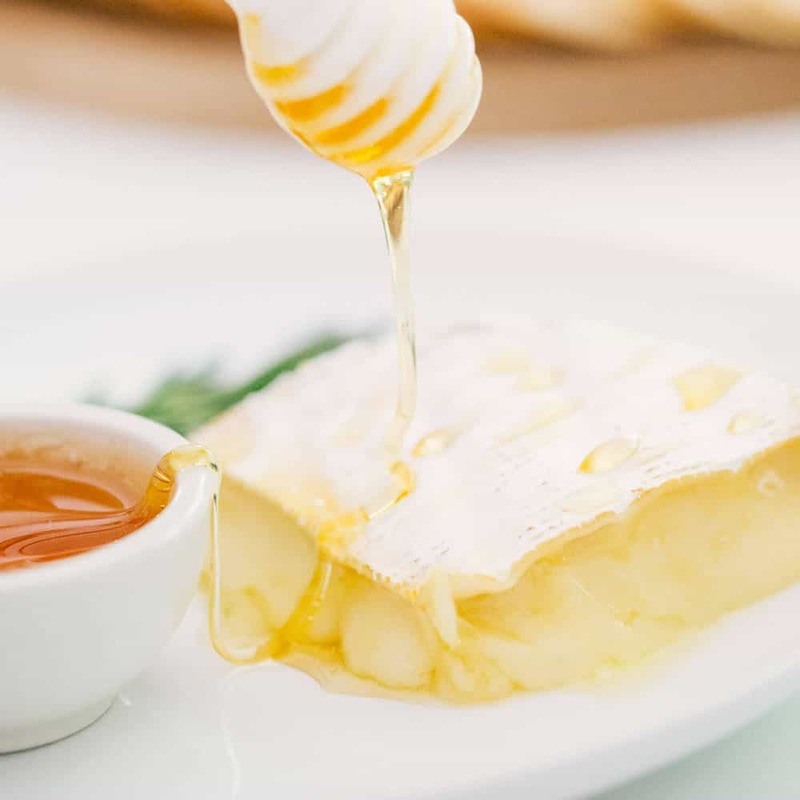 Below are a few options that taste delicious. Below are a few of the most common questions I get about how to roast pumpkin seeds. Do you boil pumpkin seeds before roasting? Yes, I boil my pumpkin seeds in salted water for about 15 minutes prior to roasting. This helps to infuse the flavor and helps to remove any extra membranes on the pumpkin seeds. Should pumpkin seeds dry before roasting? Yes, you should make sure the pumpkin seeds are dry before roasting. 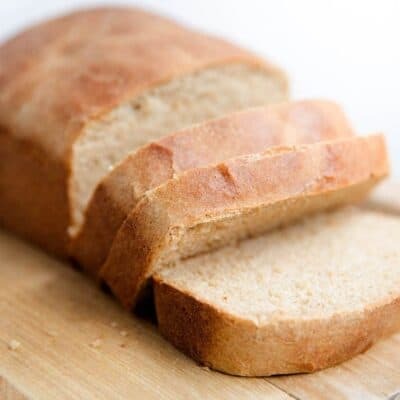 You want to remove any extra moisture before baking. I like to leave my pumpkin seeds out to dry overnight, but you can roast them after drying as soon as 20 minutes. Can you roast pumpkin seeds on parchment paper? Absolutely! I typically always roast the pumpkin seeds on parchment paper. Foil will work too. When are roasted pumpkin seeds done? I’ve found that 25-30 minutes is the perfect amount of time to bake when roasting pumpkin seeds. Do roasted pumpkin seeds need to be refrigerated? 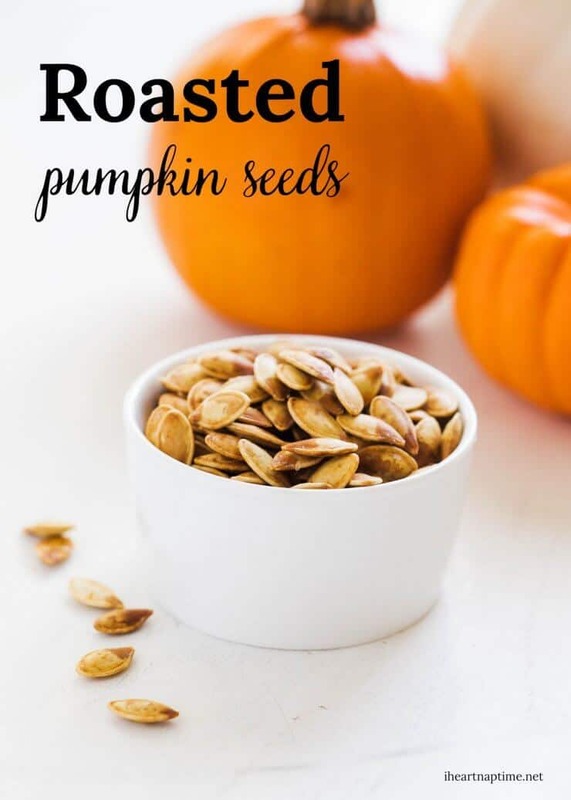 If planning to eat the roasted pumpkin seeds within a few months, you do not need to refrigerator them (as long as you keep the pumpkin seeds in an airtight container). How long do roasted pumpkin seeds last? 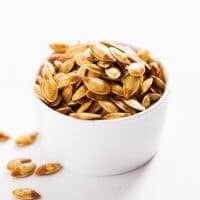 If kept in an air tight container, these roasted pumpkin seeds will last for several months at room temperature, and even longer if you stick in the refrigerator. Are roasted pumpkin seeds healthy? Yes! 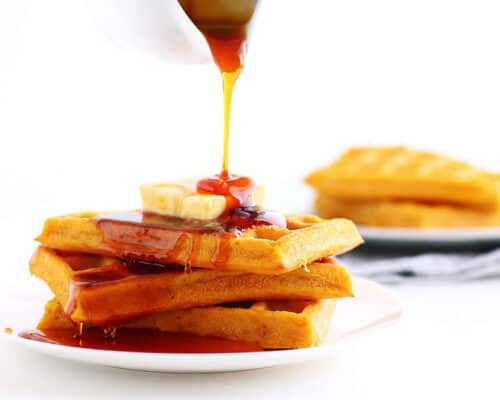 They have many health benefits, such as being an antioxidant and heart healthy. Roasted Pumpkin Seeds - The perfect way to use up leftover pumpkin seeds after carving your Halloween pumpkin! Roast with your favorite spices and seasonings to create a delicious and flavorful snack. 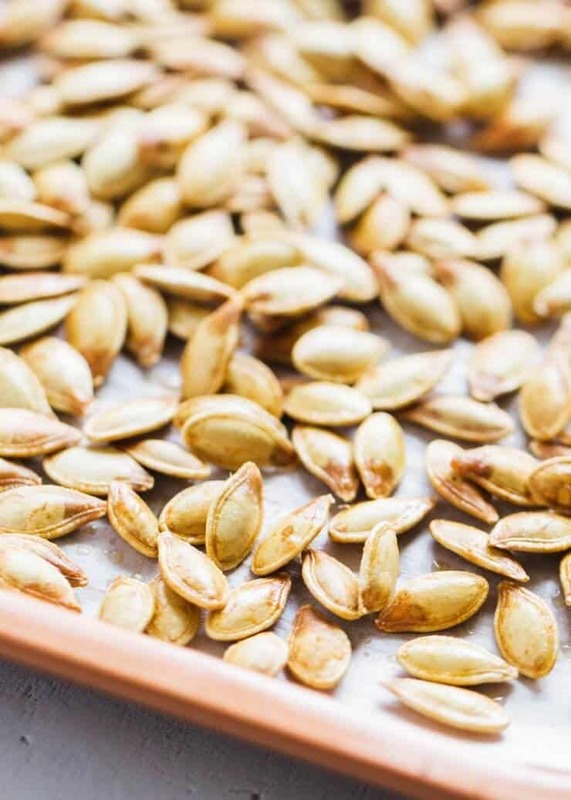 We can't get enough of these easy pumpkin seeds! 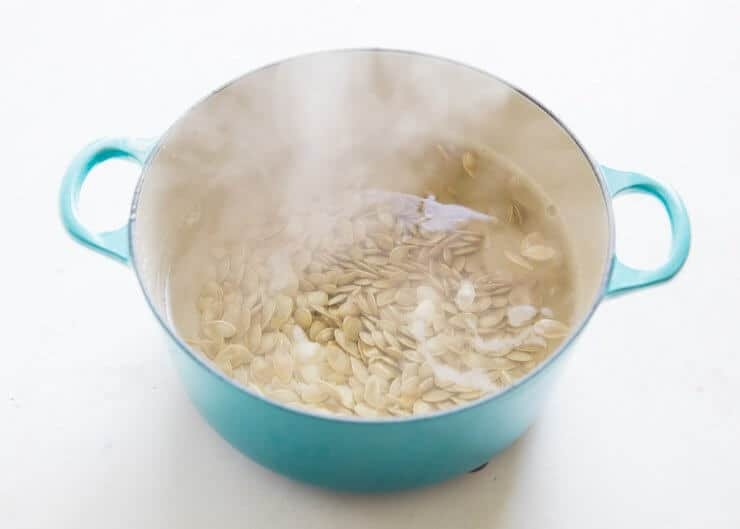 Boil the pumpkin seeds and sea salt in a pot of water of high heat for 15 minutes. Drain water and lay evenly on paper towels to dry. Preheat oven to 350°F. Line a baking sheet with foil or parchment paper for easy clean up. Combine the pumpkin seeds and butter in a small bowl. Sprinkle with extra salt if desired. Spread out evenly on pan. 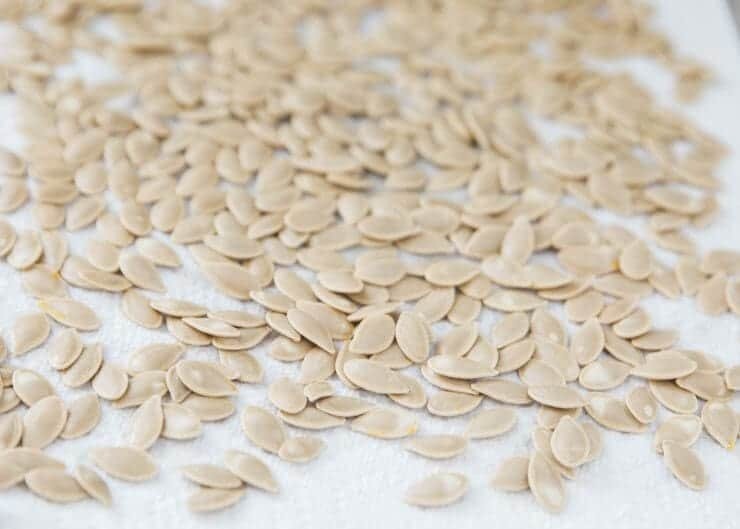 Bake pumpkin seeds for 25-30 minutes, or until lightly browned. Stir every 10 minutes. Top with more salt if desired. 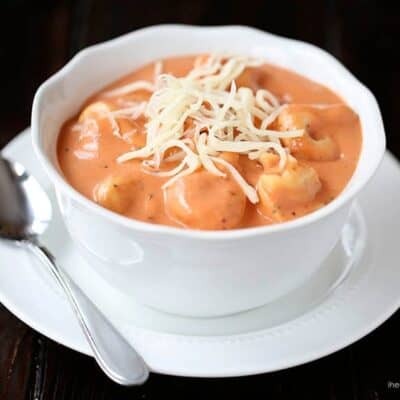 Tip: You can use a seasoned or garlic salt if preferred. I remember eating pumpkin seeds for the very first time as a kid and my mind was BLOWN! That memory is seared into my brain and think of it every time I see them!